The needs of CDCs themselves have changed. “In the 1980s, NFF was lending to a largely unbanked segment of the nonprofit sector,” says Antony Bugg-Levine. “Now the banks understand that these [nonprofits] are viable borrowers.” He points out that, from a mission perspective, this is a success for the intermediaries. They nurtured this particular class of borrowers with special loan products, reduced borrowing rates, and flexible lending terms, and now many CDCs can borrow directly using conventional finance. The bad news is they can now borrow directly using conventional finance. What’s an intermediary to do? “One of the greatest things I ever did was to start applying a ‘value added’ lens to all our work,” says Deb De Santis. It used to be that CSH and its colleagues did the deals that others didn’t want to do. Now they are doing the deals that other folks simply can’t do. 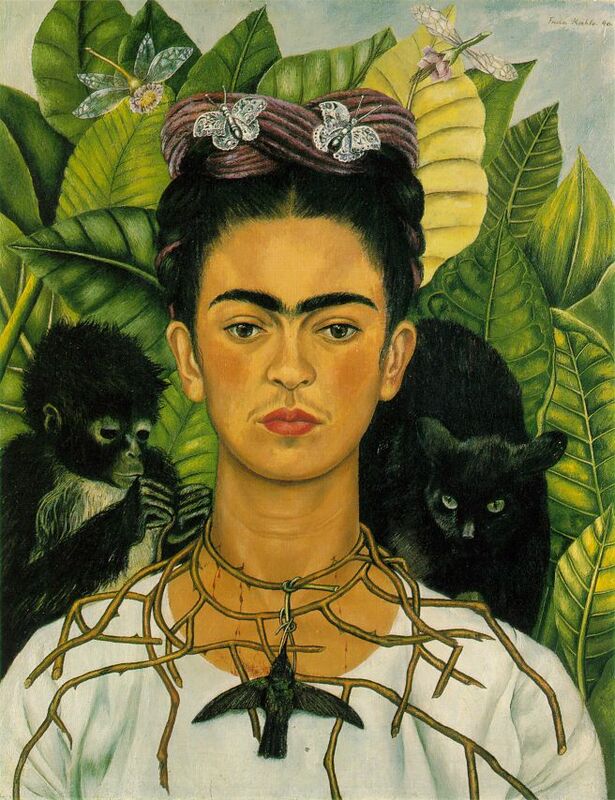 Frieda Kahlo: not interested in trimming thorns – but LISC, Enterprise, NFF and CSH are! Need a partner with a deeper balance sheet to support that LIHTC deal? An intermediary will find one and help you structure the relationship. Need some soft predevelopment capital or a credit enhancement on a new project because you don’t have deep pockets? Intermediaries aggregate cash (including mission-related capital) with a wide range of risk tolerances and flexible uses, taking risk on their own balance sheet to offset yours. Got a complicated, high profile project that’s entangled with some reputational risk or a testy community of stakeholders? Alongside new strategies for engaging other sectors, intermediaries have been building insights and alliances that can help you trim some thorns. And this ain’t small potatoes. The National Equity Fund just had its two biggest years running. Enterprise has built more than 150 funds, including being one of the partners in the foreclosure abatement-focused Mortgage Resolution Fund, that address different facets of the sector. Its Multifamily Mortgage Finance group recently merged with Bellwether Real Estate Capital, a multifamily and commercial mortgage originator. This entry was posted in Affordable Housing, CDC, Community Development, Corporate Engagement, Economy, Finance, Impact Investing, Intermediary, LIHTC, Nonprofit, Nonprofit Management, Philanthropy, Public Policy, Social Finance, Social Impact, Social Impact Investment and tagged Affordable Housing, Banking, Capitalism, Community Development, Economy, Housing, Housing Policy, Management Best Practices, Nonprofit Management, Philanthropy, Public Policy, Social Innovation by Michael Hickey. Bookmark the permalink.